This beautifully landscaped & well-maintained 3-bedroom home will be hard to resist! Main level living room with vaulted ceiling & mountain views & spacious dining room area. Kitchen with stainless steel appliances, lots of counter space & pantry. Lower level family room with walk-out to gorgeous back yard. Upper level boasts master bedroom with 5-piece bath and generous walk-in closet, 2 additional bedrooms, full bath & laundry. 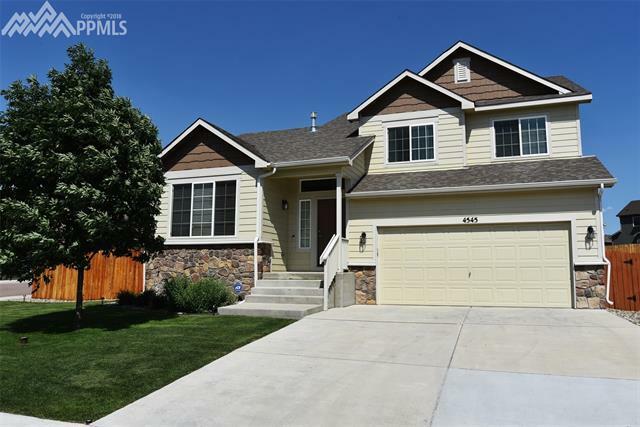 With central A/C, 3-car garage, easy commute to Ft Carson & Peterson AFB. See this one today!